Our king-size mattresses are proudly made to the highest quality standards in the UK, with superior support inside and luxurious quilted upholstery. A high-quality king-size mattress is key to getting the best rest you can every night, but we know that everyone’s sleep is different. That’s why we offer mattresses of different firmness and fillings so that you can find the right one for you. If you’re looking for orthopaedic, memory foam, pocket spring, or a combination of all three, you’re sure to find a king-size mattress in our range that suits your style of sleep. Our king-size mattresses are proudly made to the highest quality standards in the UK and we’ve worked with Cotswold Beds to produce our excellent range. From superior support inside the mattress to luxurious quilted upholstery on the outside, we make sure no detail is spared. If you want to test out our mattresses before you make a decision, visit one of our stores to try our offering out for yourself. If you’re looking for an even bigger mattress, our range of super king-size mattresses could be exactly what you need. For more mattress information, check out our mattresses guide. If you have a king-size mattress then you’ll need a king-size bed. Our range of bed frames will go perfectly with your new mattress and we’re sure you’ll find something in our range that’ll look elegant in your room. We have a wide variety of real oak, mango, and painted beds that will perfectly compliment the feel of your bedroom. Our rustic and farmhouse-inspired beds are ideal if you want to create the classic feel of a countryside cottage. If you’re a lover contemporary urban interior design, we have natural solid oak and mango king-size beds that would be the perfect addition to your modern bedroom. For style ideas for your bedroom, check out our bedroom furniture guide. For a limited time, we're offering you a 20% savings on a new mattress when you buy a bed frame of the same size. Simply browse our 100% solid hardwood bed frame styles, and add your favourite to your basket. Then choose your mattress in the matching size. Once you add it to your basket, the 20% will be automatically applied when you check out. We offer a wide selection of high quality mattresses, made in a cleanroom facility for an exceptional finish, which are all anti-allergenic and mite resistant, so you can sleep easy. 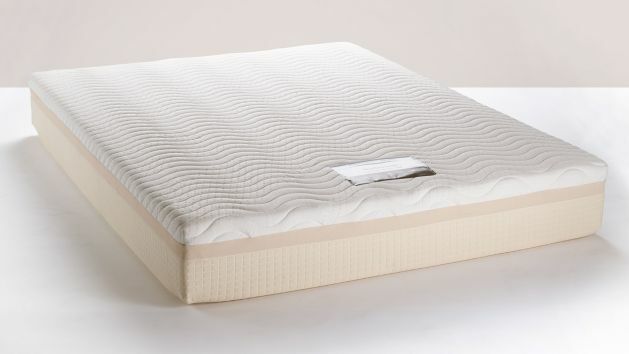 They boast high quality construction, including pocket springs, memory foam, beautifully tufted fabrics, and more. Shop our beds and mattresses and save today. If you spend more than £500 on your king-size mattress then you could choose to pay monthly for it with our finance options, spreading the cost out over four years rather than paying one lump sum. You could also take advantage of our interest-free credit if the total cost of your furniture comes to over £3,500. Once you have chosen your perfect king-size mattress, take advantage of our free standard delivery and have it delivered to your bedroom. We’ll confirm the delivery date with you and call you 30 minutes before the mattress arrives. If you pay £39 for our express delivery, you can choose for it to arrive on day that best suits you, from seven days to up to three months after your purchase.